Golf watches these days can do so much more than just tell time. They give you vital stats and help you keep track of your score. 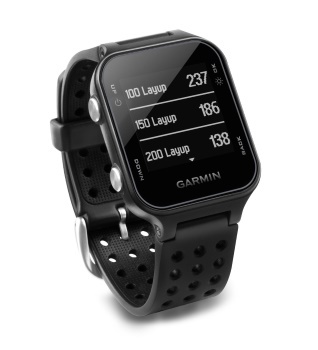 Garmin has created one of the most comfortable and easy to use GPS watches for golfing. It has a large, readable display that isn’t cluttered by a bunch of information and useless details. The band is soft and breathable, with large air holes to reduce sweating and chafing. The stats are detailed, allowing you to track swing consistency, putts per round, fairways hit and more. It also doubles as an exercise watch, encouraging you to stay active wherever you are. It will tell you how much exercise you are getting by detailing the steps you have taken and the calories you have burned, so it is a great choice for people who are trying to be more active and who want to live healthier lifestyles. The watch can be complicated to use in some circumstances, and unless you are scoring, you have to go through a lot of trouble to measure the distance of a shot. It also has some connectivity issues. It is supposed to be able to connect to smart phones and sync up data with them, but that doesn’t always work like it is supposed to, and the connection can be lost fairly easily. Lots of features for golfers to enjoy. Doubles as a fitness watch. Measuring distance can be overly complicated in some instances. 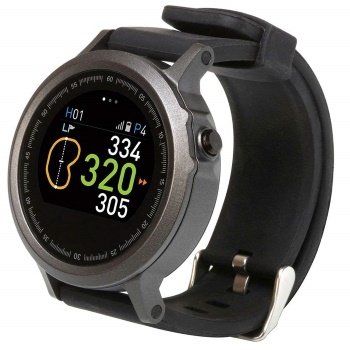 Bushnell offers a golfing watch that comes with a ton of features, including all the expected functionality of a high quality watch, such as stop watch and date functions. You’ll find it easy to start playing with this watch just about anywhere, as it comes preloaded with tons of golf courses already. Plus you can connect to a Bluetooth device to have it receive updates for any course you may be playing on. The watch will automatically map courses and save data as you play, so that you have to do very little to get the information you want from it. The watch display gives you a large readout that is easy to see, but it is also a very simplified readout. Many times you will find yourself having to press a few buttons and go through some menus to find the information you need to use as you make your shots, which can slow you down a bit. It would be nice if Bushnell gave more detailed information on the main screen, but all the expected GPS functions are there. Comes preloaded with thousands of courses. Automatically does much of the measuring for you. Can connect to Bluetooth devices for course updates. Display can be too simple. If some of the other choices on this list are a bit too expensive for you (most averaging close to $180), then this one’s price tag may be a breath of fresh air. 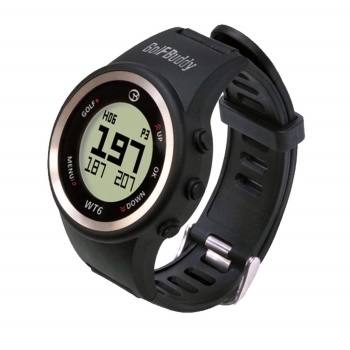 Coming in at under $100 at most retailers, GolfBuddy has created a watch that manages to be affordable while still providing you with most of the expected golf GPS watch functionality. It comes with a dedicated golf button that makes it easy to see the information you want- such as distance- without sacrificing its usefulness as a conventional watch. The display is large and readable, so you don’t have to spend a lot of time looking at the watch to get the information you need. The watch will automatically recognize and store data about holes and courses, saving you from having to do very much. Works automatically to store data. Not as much functionality as some of the more expensive watches. Garmin is definitely the king when it comes to high quality golf watches. Like its other products, this one is a bit more expensive than the average, but it is packed with features and is made to very strict standards of quality control. This isn’t the kind of watch that will stop working on you shortly after you buy it or that is going to be uncomfortable and make you regret putting money down on it. 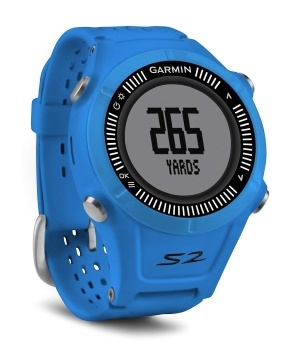 The X40 version of the Garmin watch offers a sleeker, more streamlined look that is less likely to be nicked by your club as you play or cause you discomfort. It’s a very lightweight model that does not get in the way, yet it has a large and very readable display. This watch also connects to iPhone and other smart devices to give you more detailed information and lets you download the course information before you even go to play. Monitors vitals as well as provides golfing data. Measures shots and distances automatically. GolfBuddy makes some high end watches as well, and this is a great example of a watch that offers enough functionality to warrant its higher price tag. It works super fast and calculates information at blistering speeds, all from the touch of a few buttons that make it simple to use. It’s one of the few watches that gives you a map of your location on the course in relation of the other holes, which is great as a visual references for your game. On top of all its golf functionality, it also works as an exercise watch, monitoring your activity. The WTX works with your Bluetooth and smart devices to give you even more functions and data as well as downloading information on the courses you will be playing. This is not an all-weather watch, and you need to be aware of how susceptible to water damage this device is. Just a little water can not only damage the watch severely but also void the warranty, so only use it in fair weather conditions. Works incredibly fast to give you accurate and detailed information. Made to be super easy to use. Visual map feature lets you see your location on the course. If most golf watches are too thick, heavy and bulky for you, then try this slimmer and lighter band. It’s also cheaper than most other quality golf watches but still offers a lot of functions that are going to help you with your game. 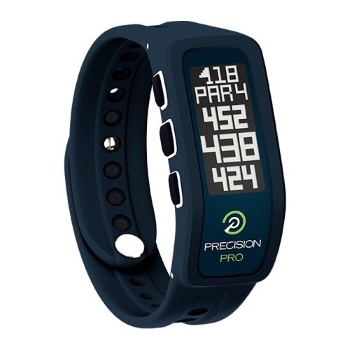 Precision Pro has preloaded around 35,000 courses from around the world on this watch, which is a bit less than some of the better watches on this list, but still an incredible amount of data. Automatic course and distance measuring are built in, so you don’t have to press any buttons to have your shots measured. You can simply glance at the watch after each hit to see how you did. The simplified, large display makes that easy to do, only displaying the information you need for the moment and not needlessly cluttering the screen with numbers. The watch works quite well and should last you for a while, but the band that holds it onto your wrist is another story. It can come detached far too easily and you may not even realize it has fallen off until it is too late, since the watch is so light. Readable display with large numbers. Priced very competitively compared to similar watches. The band is not very durable. 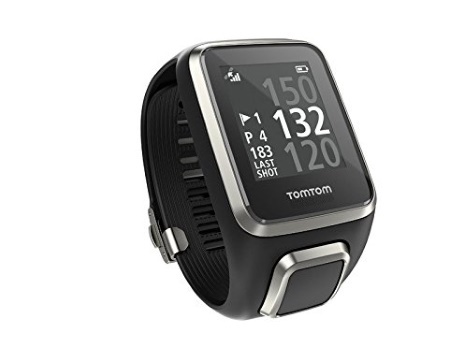 TomTom offers one of the most expensive golfing watches available, but it is also one of the most accurate. With other watches of lower quality, you get some inconsistency in the readings, with distance sometimes in error of 15-20 yards. 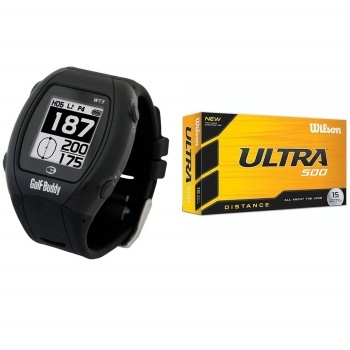 You won’t have that kind of problem with this watch, as it is super accurate and packed with detailed information that can take your golf game to the next level. At the end of your game, you can see what your best holes were and get a summary that shows you what holes you should have played for your best overall score. More than 40,000 golf courses from all over the world are already on this device, and you can add more by connecting it to your Bluetooth device. You’ll be able to see where the hazards are before you try for any shots, enabling your shots to be more precise. The price tag is super high. This watch from Izzo has everything you would expect from a pro golf GPS watch, but at a lower price point than most. It’s lightweight and breathable, but that comes at a cost, as the band can be easily broken. 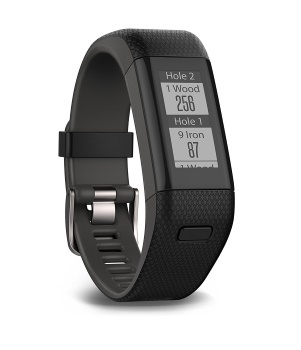 It is also preloaded with thousands of golf courses, and the watch will calculate distance for you while you play. It’s a simple to use and accessible watch with a large, easy-to-read display. Just don’t expect the watch to work as fast or as well as some of the other watches on this list. It may not last as long either, since it isn’t terribly hardy, but if you want something that’s comfortable and cheaper than most of the other options here, then this is a good watch to start with. Lots of features for the price tag. Very light and comfy to wear. Comes with golf courses loaded onto it already. This is like a simplified version some of GolfBuddy’s better watches. It’s cheaper than the higher end versions, but it offers a lot of the same functionality. 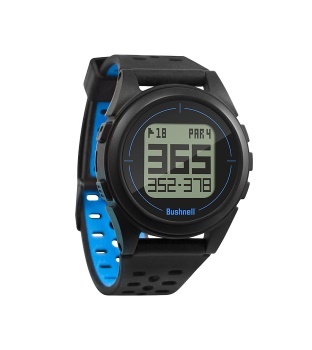 Even though this watch typically retails for around $100, you still get the visual locator which shows you were you are in relating of the rest of the course. It’s a handy graphic that makes the watch feel like more than just a numbers machine and that helps you visualize the rest of course as you play. This watch will point out hazards to you and let you access new courses to download without having to pay any fees or subscribe to any membership plan. Because there is a lower price point on this one, though, you can expect the graphical display to be on the lower end and some of the features to work a bit slower or be more ponderous to use than some of the more advanced and pricier watches. Just as much functionality as more expensive models, but at a better price. Can be kind of slow. You sometimes have to go through a lot of menus and press a lot of buttons to get the info you want. Garmin already has close to 40,000 courses preloaded onto this watch, with the option to download as many more as you want for the lifetime of the watch absolutely free. The watch gives you yardage to the back, front and the middle of the green. No matter where you are on the course, the watch can measure distance for you and you can store and even print out the stats for later. The battery life is substantial, and it can last for as long as three weeks if you are just using the watch, and as long as eight hours on GPS mode. High quality design that is built to last. Free course updates and downloads for the watch’s lifetime. Battery can have trouble holding a charge after a few months. GPS watches can have a ton of functions packed into them, or just a few. Now, simply because all those option are there, that doesn’t mean you will use them all. You may only find that you use a couple of the functions but still value the watch over similar instruments like a rangefinder. GPS watches can tell you the yardage for both your hits and those of the other players. A lot of spectators actually wear them to determine the yardage of the players, and you can do the same in your game to see how you compare to your competitor. It’s a more accurate reading than if you try to estimate with your eye, especially on a part of the course that is uneven. The GPS watch may be better for you than the rangefinder, if you feel that a rangefinder slows down your game. A poll by PGA.com showed that players chose the GPS watch over similar instruments because of how convenient it is and how it allows them to keep playing while still taking the measurements that they want to. The precise yardage that a GPS watch gives you allows you to find out how far your hits are going and if you need to change up clubs for something that gives you more distance or greater accuracy. It’s a great tool for when you are practicing and trying to determine which clubs to use at different times and for different shots around the course. 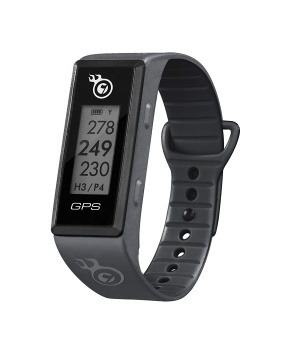 One of the best training tools you will ever buy for your golf game is a high quality GPS watch. For many, the GPS watch is simply a practical device. You can wear it while you play and check your yardage any time you want instead of having to put down your club to pull out a rangefinder. It keeps you in the game and focused, doing just as much for you as the rangefinder without all the distractions. Accuracy– You want a GPS watch that can actually tell you the distance of the shots you make or the shots you plan to take. 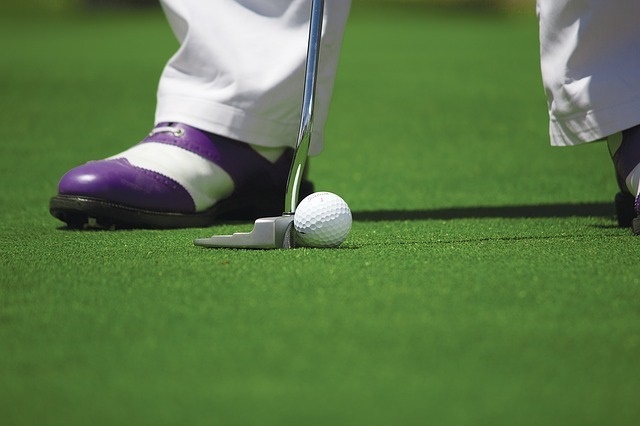 If you know how far the shot you have to make will be, then you can choose the appropriate club and use the appropriate force instead of estimating with your eyes. If the accuracy is off, that can throw off your shots, give you false confidence and hurt your training efforts. You’ll be thinking you’re hitting one distance when you are actually hitting another. Stat Storage– You may not want the distraction of looking at the watch every few minutes as you play your game, but after you play all the holes, you will benefit from checking your stats as you relax. Modern watches often have the functionality built into them to save your scores and stats from the game, according to US Golf Pro, and that can make a big difference in how you train for the future and how you modify your tactics to improve your playstyle. Pre-Loaded Courses– This is another function that many modern watches include, and it allows you to enjoy accurate information that has already been verified before you set foot on the course. The watch already knows the distance between the holes and how far each shot needs to be, and that can be a huge help in making accurate shots and not overshooting or undershooting when you are playing somewhere you haven’t been before. Durability- Some people can be kind of rough on their GPS watch, knocking it with the club, putting it through some bad weather and wearing it for hours at a time while they are sweating. All of this can wear down the watch and hurt its lifespan, and you need to ensure that you get a watch that is worth what you paid for it. Know your golfing habits and how rough you may end up being with the watch before you pick one. You can find water resistant and extra tough watches that will work well for even the roughest style of play. Bulky– This is a key factor that a lot of people overlook when they shop for golf GPS watches. They want something that can provide a lot of accurate information and that looks stylish, but they forget that this is something they will be wearing for hours at a time out in the hot sun at times. It needs to be lightweight and not affect your swing in anyway or feel uncomfortable as you are using it. Most GPS watches are sleek and lightweight, but pay attention to the weight as you shop to ensure that you aren’t getting something that will feel bulky as you take your swings. 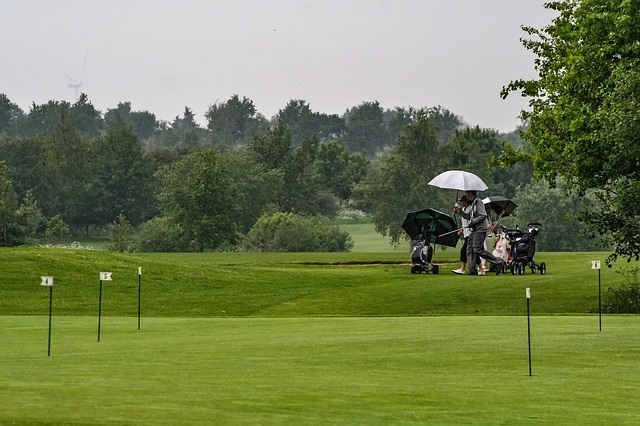 Illegal for Tournaments- You have to be careful these days about what golfing equipment you bring to your games. There are some things that simply won’t be allowed, and the rules aren’t always crystal clear. Certain types of features and devices won’t be allowed on the course under current rules. According to the USGA’s official rules, electronic devices that measure distance may be allowed, but only if they measure distance alone and not slope or weather conditions, as that can be construed as an unfair advantage. Your GPS watch could be allowed to sport these features, but the watch has to be able to turn them off during a game. Slow– If you look at the cheaper end of the GPS watch spectrum, you may find some watches that have the features you want at an affordable price. What you may not realize is that many of those features come at a cost, particularly the speed at which they are calculated. The product description and packaging may not tell you how quickly the watch gives you information and measures distances for you, but the user reviews should be helpful there. Be sure to read reviews from people who have actually used the products before you buy yours to ensure you aren’t getting something that works at the speed of a turtle. We have showed you what to watch out for when buying the best golf GPS watch and what things you should take into consideration. Now you can apply those and your own personal preferences as you browse our reviews of the top 10 GPS golf watches available. What we have included here are the best ones for a range of budgets, so you may find some that are better than a few of what we list below, but some of our picks will be more affordable and ultimately give you more value for your dollar. You have seen our top picks and read their pros and cons. You’ve learned what kind of things to avoid and what to factor in when you are choosing a golf GPS watch. Now you should be able to choose the best golf GPS watch for yourself, based on the information that we have provided for you. 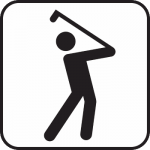 You can also read our other articles about a variety of other golfing products, and from there you can find all the gear you need to improve your golf game.